Over the years, residents of The Colony have consistently expressed their desire for city leadership to focus attention on beautification. Citywide clean-up events, colorful murals at Stewart Creek Park, new street signs, and freshly painted mailboxes and lamp posts, among other initiatives, are all examples of that effort. The re-branding of Code Enforcement into Community Image was meant to highlight both the city’s and the department’s attention to beautification. Sprucing up city property is effective but the best results come when city staff members partner with residents to meet the basic requirements of our ordinances. Community Image Manager Iris Browder notes that the objectives of the department and the benefits of those objectives go beyond beautification. “Maintaining your property not only improves the overall look of the neighborhood, but it can also affect the property value as well,” she said. The city is divided into three large sections, one for each of three community image officers. Each section is then subdivided into smaller portions such that each subsection is patrolled once every 10 days. Prakash Abraham is one of three officers responsible for patrolling the city’s neighborhoods, following up on complaints and systematically assessing both residential and commercial property for compliance. While often perceived as pesky, rule-enforcing killjoys, Abraham says he works hard to dispel that perception. The department is also sympathetic to homeowners who may not have the means to take corrective action for code violations, whether it be for financial or physical limitations. 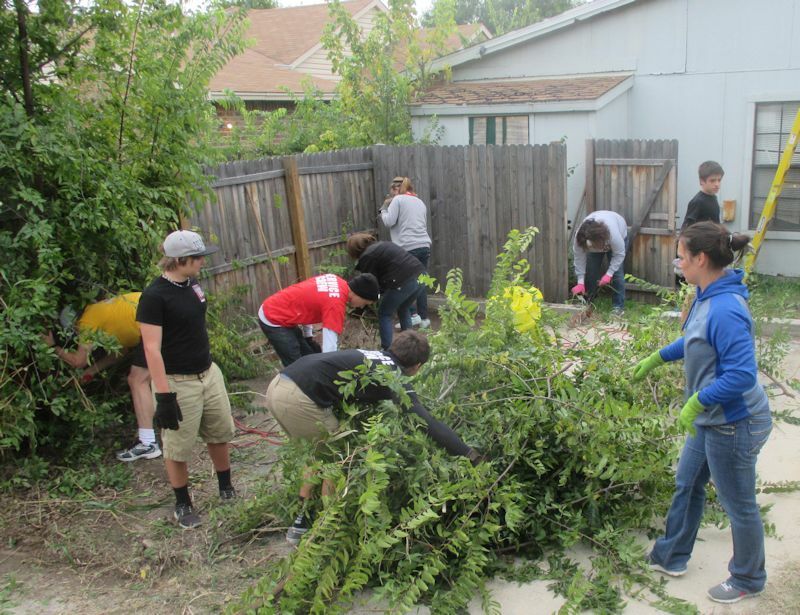 Participants in the city’s Volunteer Assistance Program help a neighbor with overgrown trees and shrubbery. Much like a police officer on a beat, community image officers routinely work through their territory, getting to know the residents who live there. During his time on the job, Abraham has certainly learned where chronic problems exist. But more importantly, he has learned the value of consistent enforcement and education. “We can never reach a perfect state. When I drive around, there will always be something,” he said. “It’s really about the people. Our job is to make the property look better and the neighborhood work better. So you work with the people to make that happen. Once a home’s weeds and/or grass reach 12 inches in height, Community Image officers will notify the homeowner in writing that they are in violation of the city’s ordinance. 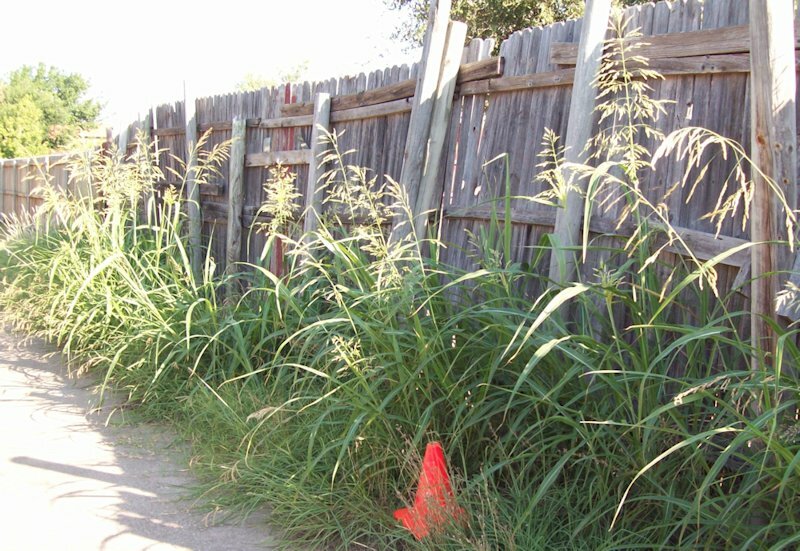 For example, once a yard’s weeds and grass reach 12 inches in height, the officer has cause for making a case. He or she sends the homeowner one written notification per year. If a letter fails to bring about a result, a contractor is called in to mow the yard, and the homeowner will be invoiced for the work. Although there are many rental properties in the city, Community Image officers only contact homeowners, as listed on the Denton County tax rolls, regarding any and all potential issues. 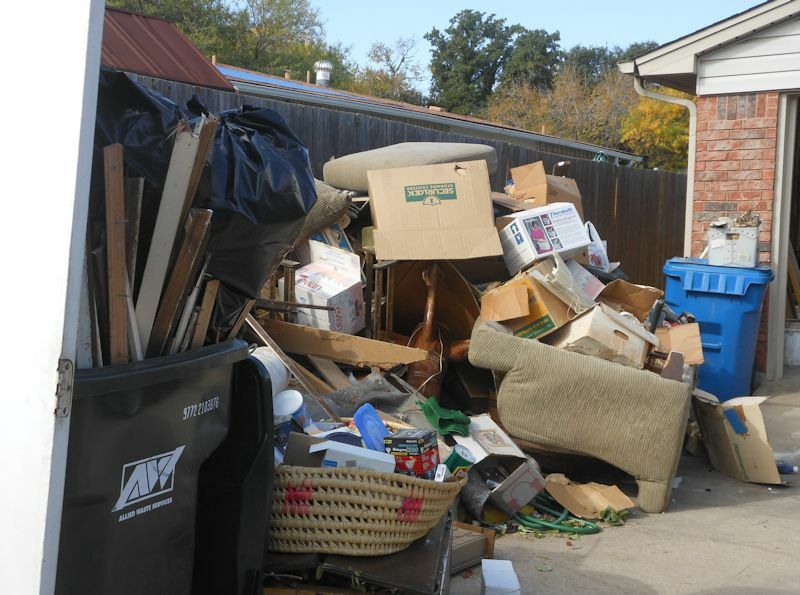 Bulk trash items left out on the curb early and/or exceeding 4 cubic yards represent another common case. When coming across such items, Abraham says he takes into account the neighborhood’s bulk trash collection day, of course. He’ll also make note if the items are the result of a resident making noticeable improvements to the home. The same goes for when other residents call or write to the department about something they’ve noticed. While not uncommon for neighbors with grievances to try involving code enforcement, most often reports are rooted in the sincere desire to maintain standards. “If someone takes the time to call in and complain, you give them the benefit of the doubt that they’re doing it for the right reason,” Abraham said. Either way, standards must be enforced for the benefit of the entire community. Abraham credits his directors, the city manager, and the city council for providing him the tools he needs to do his job most effectively. “We have a leadership team that is very familiar with the city, that knows the layout, the troubles and the challenges that come with the job,” he said. The city’s code of ordinances is there to prevent this kind of unsightly trash and debris outside our homes, and is enforced by the Community Image Department. Some of those challenges come from the need to document every element of a case. “If we can’t see it from the public right-of-way, we can’t prove the case,” he said. Such is the case with stagnant pools, for example. Other times the challenge comes from not knowing who is truly at fault for a particular offense. Recently, Abraham worked a case in which a resident of a cul-de-sac had placed a temporary basketball goal in the middle of the street and left it out indefinitely. One of the street’s residents called to report it but it took some time before Abraham was able to find out who it belonged to, after which the owner promptly complied. Not all would-be community image issues are the purview of Abraham’s department. A complaint was called in reporting what appeared to be large streak of white paint splashed across the street, most likely the result of someone throwing a paint can. It was no coincidence that a police officer was on the scene that same day Abraham investigated the complaint, as such issues involving roadways are the responsibility of public works and law enforcement. These are all just one morning’s worth of cases. The average day involves several re-inspections as well, in addition to patrolling each of the zones on a 10-day basis. Abraham simply takes a “common sense approach” as he goes about his work. With the seasons changing, weeds and grass will be more of an issue now than the past several months, but residents will be given time to catch up and comply. Bottom line, Abraham and his fellow officers know their neighborhoods. They know where violations tend to occur more frequently.